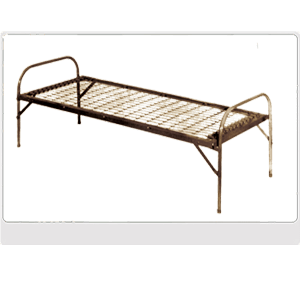 Army-Style Folding Cot for use in Camps, Dormitories & Institutions Folds into compact flat unit for storing Cot has 1 In. hi-yield steel tubing Angle Steel Frame 1-1/2 In. x 1-1/2 In x 12 ga. Overall dimensions: 30 In. x 77 In. Quantity Discount Is Available. Mattress is not included. To add a Mattress Scroll to the bottom of the page.